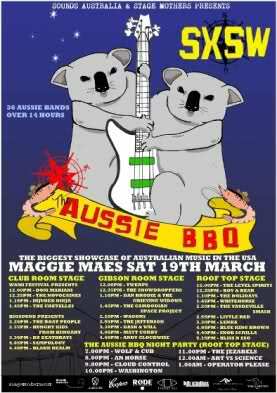 The Aussie BBQ will be showcasing over 60 Australian rock bands, which makes this SXSW day party the Australia’s biggest showcase in the country. Check the full lineup, set times, and details after the jump. Click here to RSVP to the free event.